In case you missed it, we released Seers Isle this month. You can get it on Steam or itch.io (as a DRM-Free download) for $12.99. If you already have Along the Edge in your Steam library, you can "complete your collection" using the second bundle and have 20% off on Seers Isle without having to buy Along the Edge again (or the other way around). That way, we can reward your fidelity. And to top things off, Along the Edge is also on sale with 30% off until Monday, October 1st! We've been overwhelmed by great feedback from the players and the press. Here's a selection of quotes from the reviews we received (follow the links to read them in full). — “Seer Isle once again proves that Nova-box know how to make a visual novel with choices that matter. It’s rich, artistic, emotional and mysterious, and it draws you in quickly and holds your attention rapt. The twists are surprising, the characters are relatable and the environments are gorgeous. Seers Isle is about as perfect as visual novels can get if you ask me.”, Seers Isle Review, Jacob Wood, Indie Hangover. 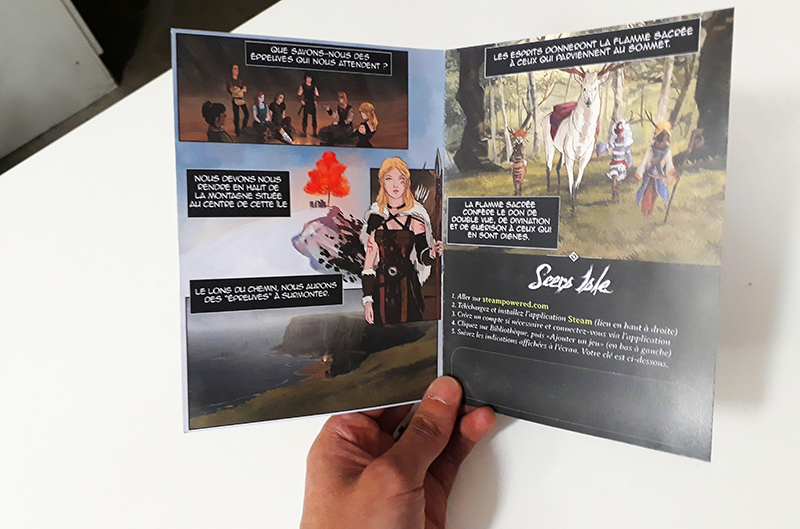 — “Si on aime ce genre de productions, cela vaut le coup de donner un peu pour passer quelques bonnes heures de lecture un peu interactive”, Test de Seers Isle, Zekkangel, Jeux OnLine. Put it in your diaries! If you want to come say "hello" to us or try your hand at our games, we'll be at the Animasia convention in Bordeaux. It happens on the weekend of the 13th & 14th of October. If you are a video-game professional, there's a special day for us on Friday, October 12th with interesting keynotes by our fellow game devs, under the moniker "Indie Game Factory". I (Geoffroy) will share my thoughts in a panel with Sybil Collas and Fibre Tigre about narrative design. Places are limited, so you should move fast if you want to come and watch our talks! You'll get info and directions for the Animasia convention over there: animasia.org (in French). For the pro keynotes, take a look over here (in French also, I'm afraid). As another incentive for you to come see us, we're working on a special collector's print to sell Steam keys in conventions, and... other places (we'll tell you more about that soon). You may have already seen the portraits of Seers Isle's characters Nico made with our friend and colleague Ludovic Rivalland. If you love them enough to decorate your walls with them, go no further. 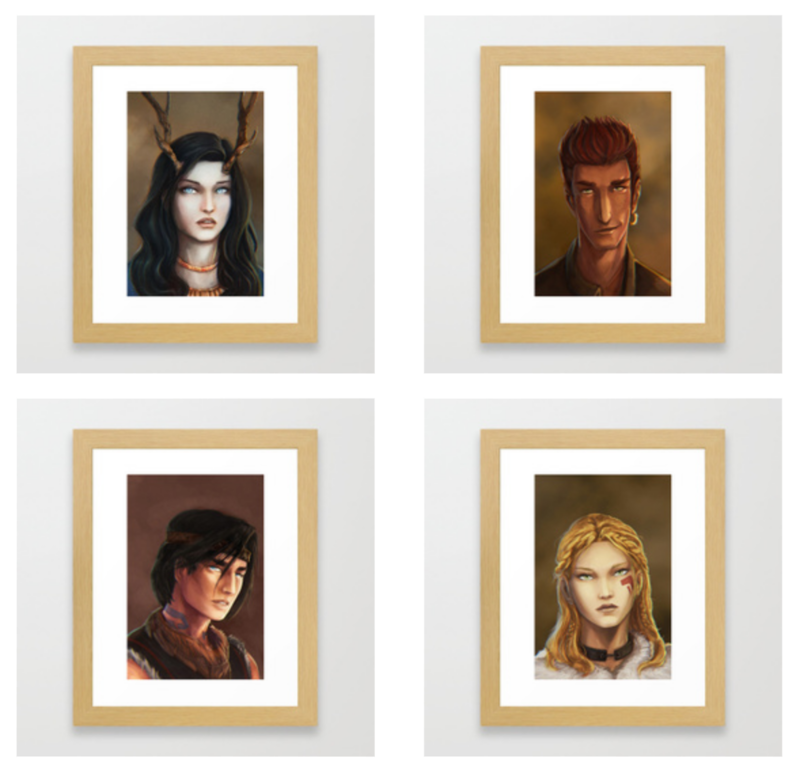 We added them to our fine art collection on Society6. Well, as you may imagine, we've been pretty busy with the launch. However, we didn't forget to celebrate! 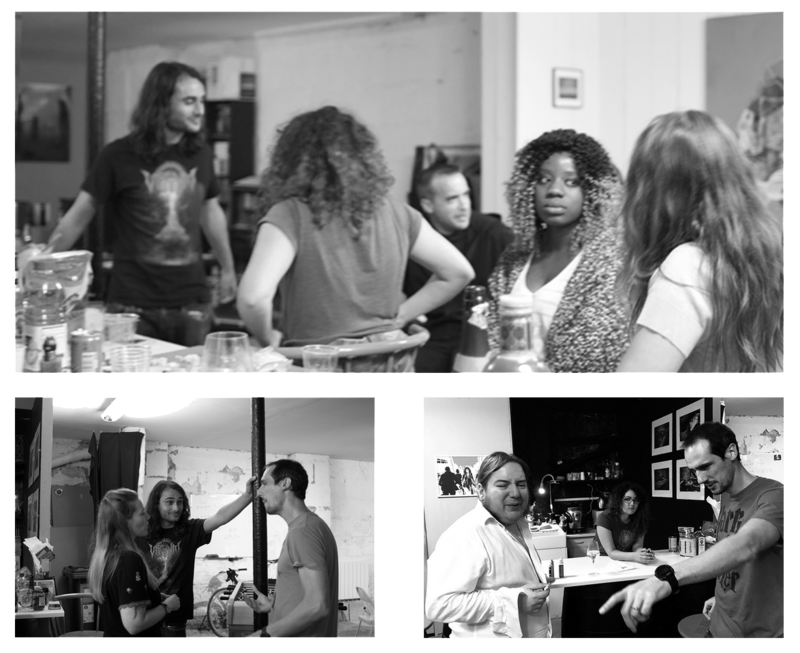 Here's a couple of snapshots from the release party we had last Friday at Nova-box's headquarters.